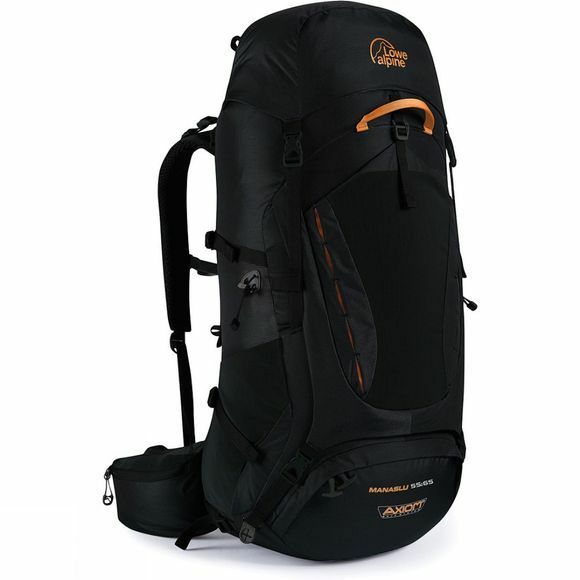 The Manaslu 55:65 Rucksack is a 'go-to' pack that delivers function and versatility while always looking dynamite. Be it a wild camp on a remote beach or six months on the sub-continent, the Manaslu delivers serious kudos for those who want technical gear that really works. Travelling can be tough going and the rugged ripstop fabric construction will protect the pack from rough campsite grounds or rougher transport baggage holds. The front and lower access to your gear is smart thinking as is the stow- away raincover for that unexpected downpour. With a front stash pocket for easy access to your snacks and maps and strong daisy chain lash points that are perfect for carrying a portable solar panels to keep you charged up and connected.